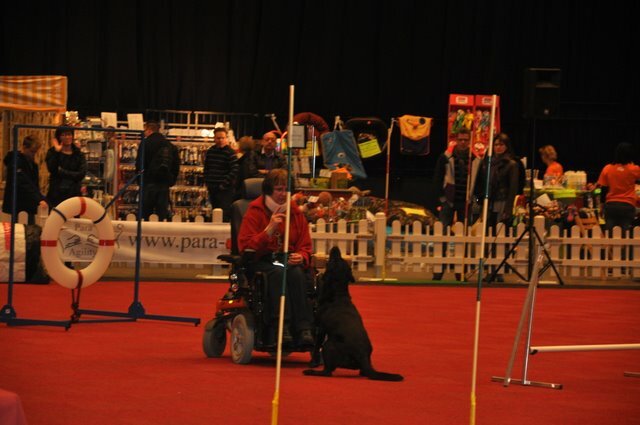 Joep and my youngest dog Joy have give demonstrations and Joy have showed she can work very enthousiast as servicedog and enjoy to practise the agility-sport! 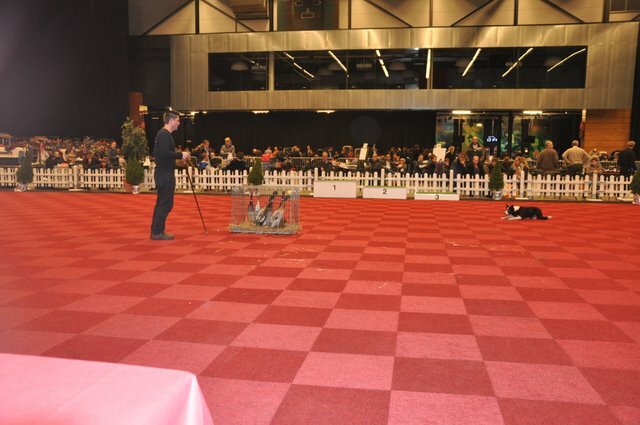 Joy have showed to like agility very much and she had her scoop on all 12 poles of the weave! The weather was lovely, no rain and the sun was shining! 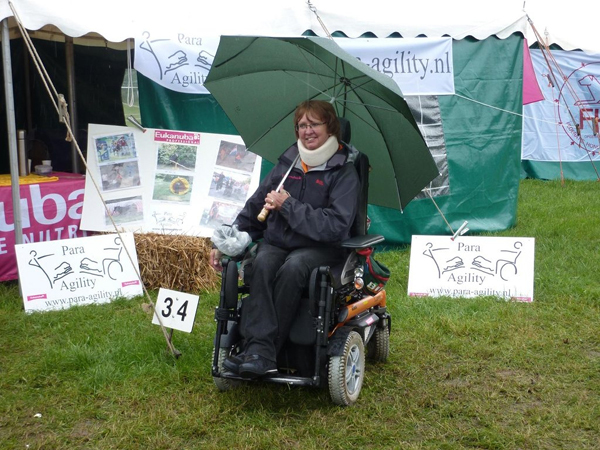 The Purveyer of my electric wheelchair, Otto Bock, had asked us to give demonstration para-agility on a big Market of information for people with a disability, in Gent (Belgium). 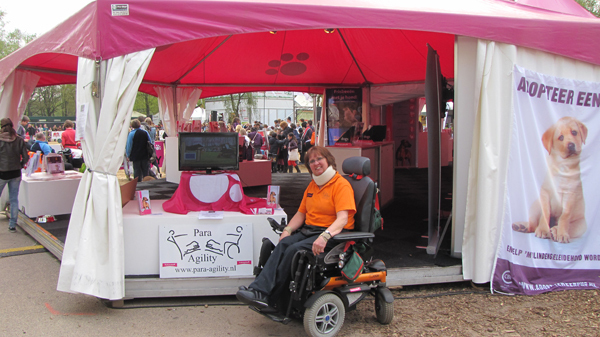 Joep and Joy could demonstrate that it's possible when you are using an electric wheelchair practise agility! 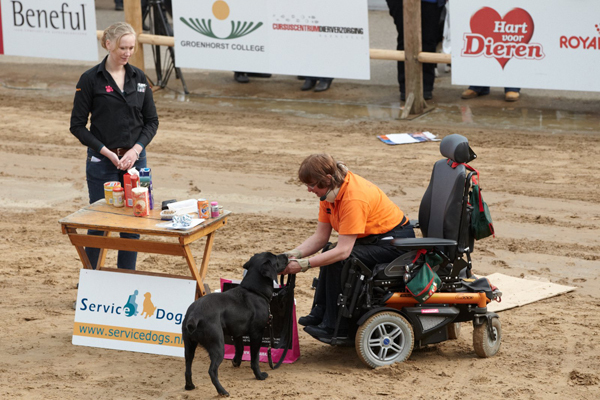 Saterday and Sunday we had given demonstrations para-agility and servicedogs on the 17st Dogshow in the Hall Plantarium in Hazerswoude-Dorp. 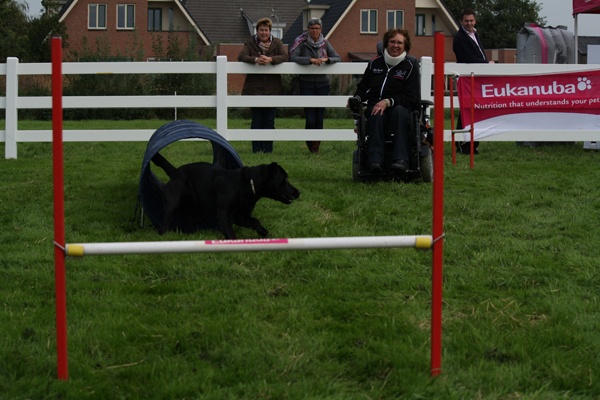 Joep had run clear rounds on the Agility- and also on the Jumping-courses. 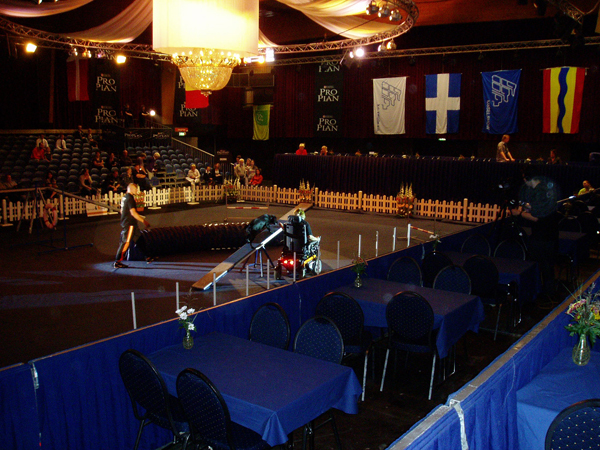 Quita, the oldest one, could show perfect starts on distance, and the little Joy had run very enthousiast her little course: a hurdle, then a tube-tunnel, next the tyre and at last the long-jump, ofcourse every obstacle very low! 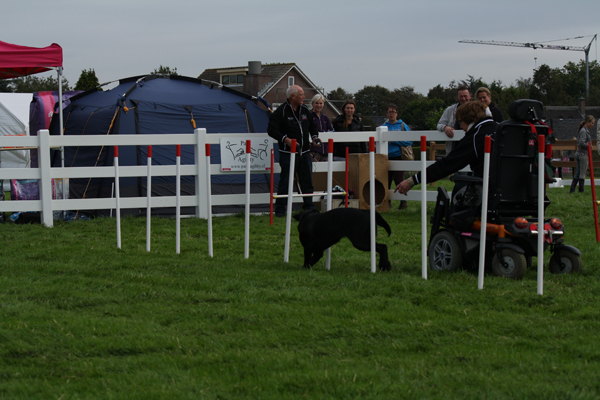 We had spread out a little Jumping-course and Joep had given nice and very enthousiast his demonstrations para-agility. 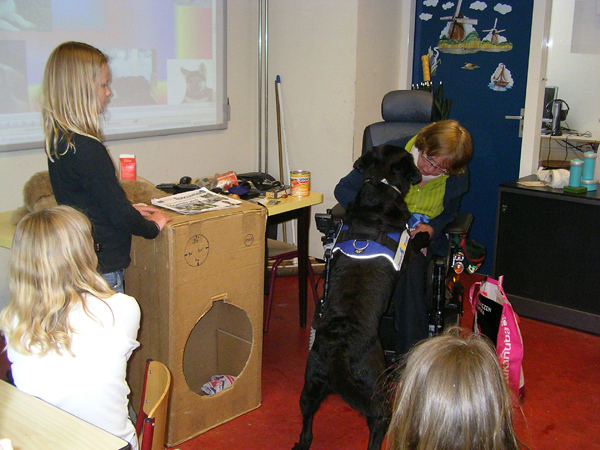 Also my oldest dog Quita could run and in spite of she is not running competiton anymore, it had given her a lot of fun! Even my youngest dog Joy, just 9 months old, had given a little demonstration.